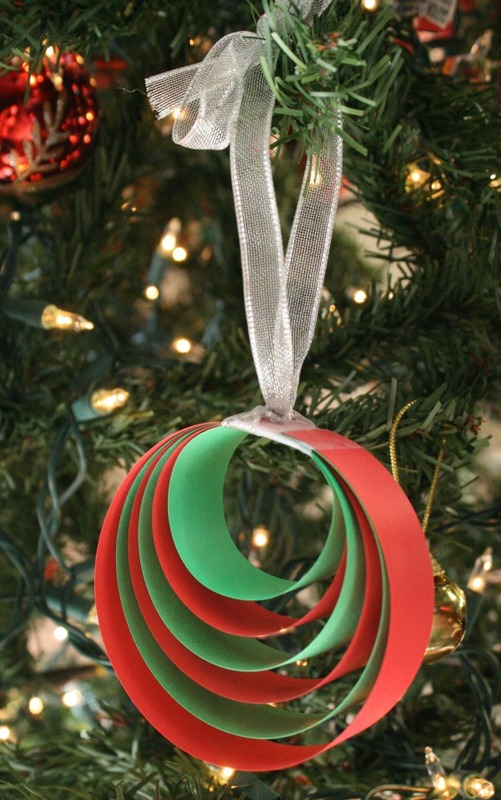 This easy Christmas ornament craft is quick and mess-free! 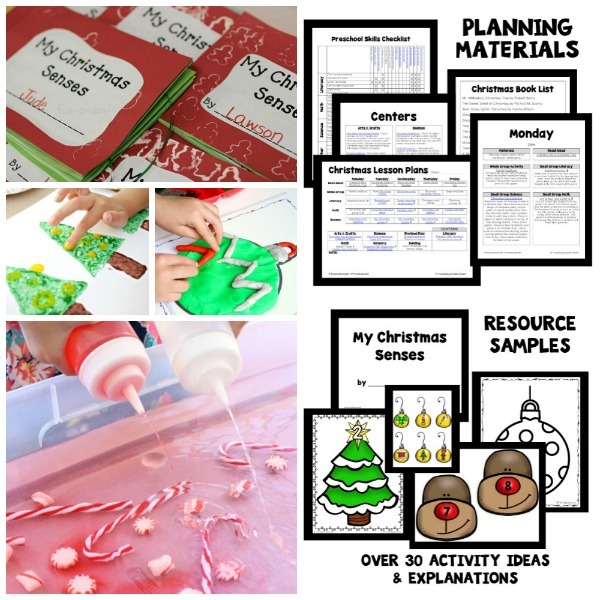 You can also easily incorporate math skills which makes it a great class or home projects for kindergarteners and elementary kids. You can decide how much advance preparation to do based on the age and abilities of the kids involved. 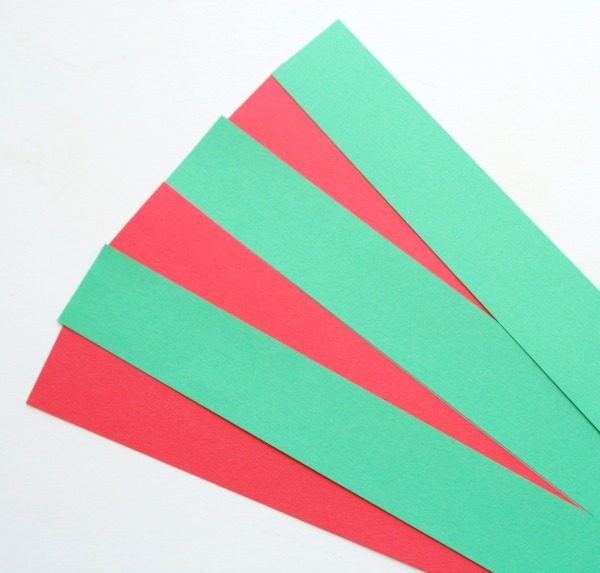 For Lovey (age 5), I decided to pre-cut red and green paper into 1-inch strips using a paper cutter, but older kids might enjoy using the paper cutter with adult supervision. Each 1-inch paper strip was 11-inches long to begin with. 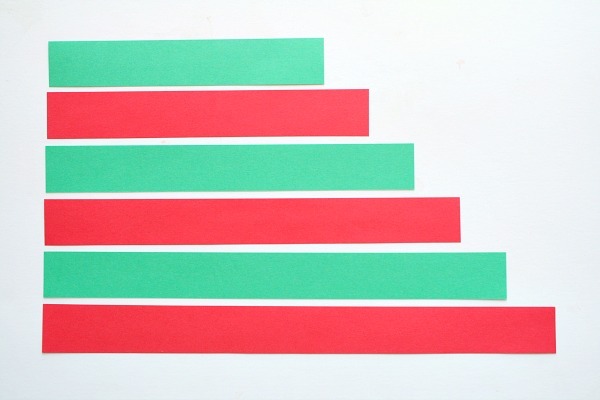 Here Lovey and I worked to create paper strips that were different lengths. We used a ruler and scissors to make strips that were 6, 7, 8, 9, 10, and 11 inches long. This was an easy but authentic way to practice using standard measurement. Tip: Save the small pieces you cut off. 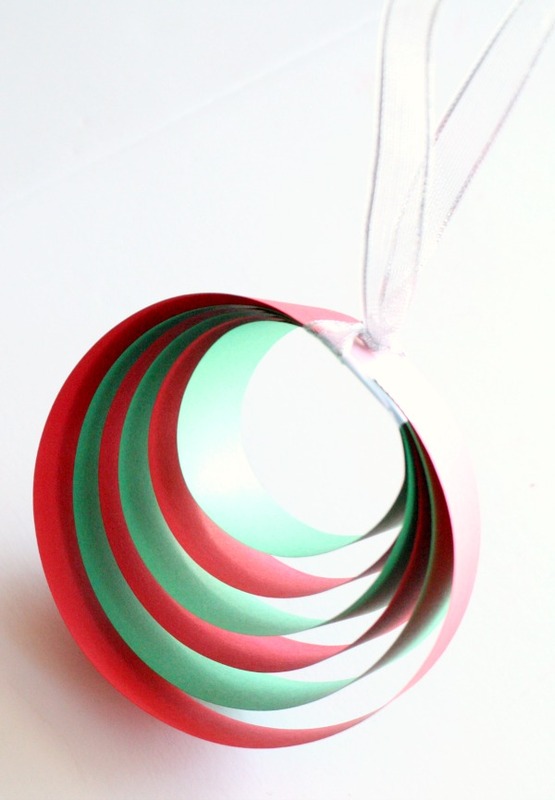 They can be used to make a cute Christmas tree pattern to glue to cards or other holiday art. Once our strips were the right lengths Lovey organized them from shortest to longest. Then we stacked them in order so that the shortest strip was on top and the longest was on the bottom. Lovey used tape to secure the end that had all the strips (the left side in this picture). Be sure to tape all sides securely so that the paper strips do not slip out. More is better here. Then we turned the paper on its side as shown below. 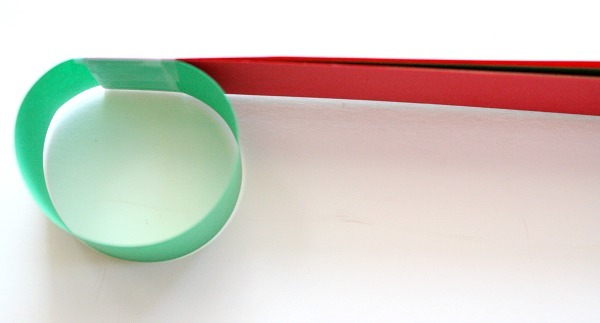 If you aren’t using a tape dispenser you may also want to have kids set up some precut strips of tape along the table edge to make securing the paper strips easier. 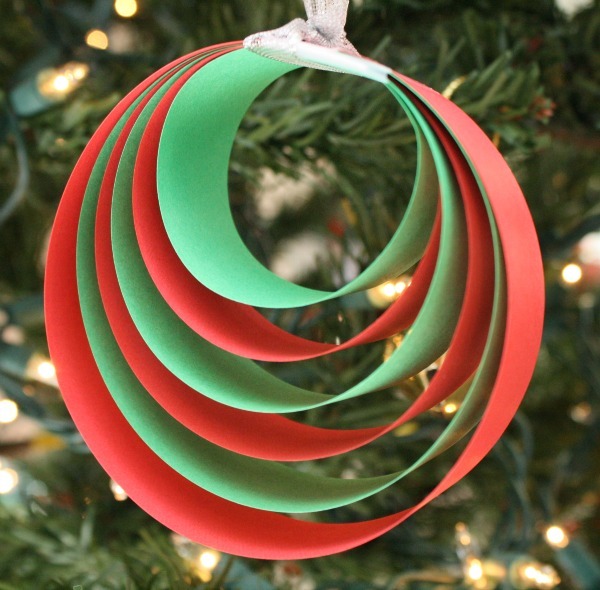 To make the ornament curl the shortest strip of paper down and around. Then tape the end to the back of the set. Continue curling and securing each strip so that the ends of the paper align as much as possible to get a consistent circular shape. Once all the strips of paper are secured tie some ribbon around the ornament, and you’re done! Watch the video below to see the full tutorial. They are so simple, but they looks so pretty hanging on the Christmas tree!